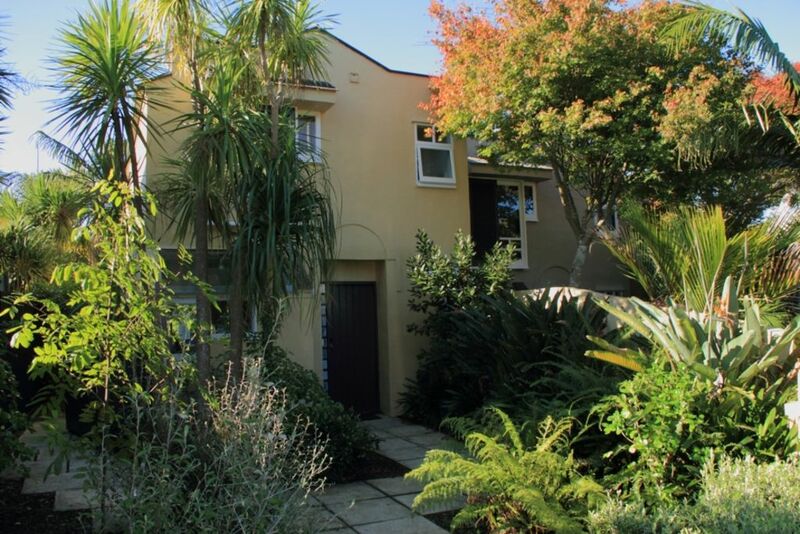 This is a sunny, warm, centrally located townhouse in Freeman’s Bay close to all city amenities including the vibrancy of Ponsonby Road, Victoria Park, the waterfront and the CBD. This perfectly positioned townhouse is a short walk to the many local cafes, bars and restaurants, the Link bus-stops and Franklin Road supermarket. Bifold doors lead to a large, private, sunny mature planted courtyard with a barbeque and outdoor table for entertaining and relaxing. The single on-site garage is remote controlled and secure. The property is on 2 levels with a light, sunny, fully equipped kitchen, spacious open lounge/living area, laundry and WC downstairs and 2 bedrooms and bathroom with WC upstairs. There are spectacular night views of the sky tower and city from the spacious master bedroom and garden views from the second twin bed bedroom. The Link bus leaves from Victoria Park - a short 5 minute walk away. This service operates every 15-20 minutes to downtown Auckland, the Harbour Ferry Building, Viaduct Harbour, Parnell, and Newmarket High Street shopping, Auckland Museum, Art Gallery, Auckland University and Auckland Hospital - all only a few minutes by bus. The Harbour Bridge is in close proximity for access to the Northern Motorway. All other motorways to the south and east are also easily accessible. Well equipped and neat place that was great for our family. Beautiful walk up to Ponsonby Rd for coffee and a browse and then walked inot the harbour. Great base for two couples to explore Auckland! This end unit townhouse has a good sized living area, with a very nice back garden - something of an oasis right near the city centre . The beds were all very comfortable, and we had pretty much everything we needed. There is a grocery store two blocks away, a great coffee shop even closer, and 6 or 8 restaurants within an easy walk. We would definitely stay here again if we have the good fortune to visit Auckland once more. The location puts you in walking distance of both Mainstreet and Ponsoby as well as easy motorway access in all directions for those who want to escape the city. Despite this the property provides a feeling of privacy and separation from the city. Ponsoby has a number of good restaurants. The property while worn is well loved and cared for with everything required to make the stay enjoyable. The sun filled backyard is a bonus especially for anybody wanting to dine alfresco. Perfect location, tranquil beautiful townhouse in lovely neighborhood. Convenient to everything. No need for car.